Surgical orthodontics, also known as orthognathic surgery, is a type of orthodontic treatment used to correct severe cases that include bad bites, jaw bone abnormalities, and malocclusion. Oral and maxillofacial surgery is one of the nine recognized dental specialties, and it focuses on treating complex craniofacial cases that involve the mouth, jaw, face, and skull. If you need surgical orthodontics, your orthodontist will work with an oral and maxillofacial surgeon to ensure that you receive the best care possible. When might surgical orthodontics be needed? Surgical orthodontics may be used to treat adults with improper bites or other aesthetic concerns. Typically, jaw growth stops by age 16 in females and 18 in males. In order to receive orthognathic surgery, the jaw must be done growing. The need for surgical orthodontics occurs when the jaws do not line up correctly, and a proper bite cannot be achieved with orthodontic treatment alone. Orthognathic surgery will help properly align the jaw, and orthodontic braces will then be used to move the teeth into their proper position. How do I know if I need orthognathic surgery? Your orthodontist can tell you if orthognathic surgery is needed as part of your treatment. Depending on the severity of your case and the alignment of your jaw, you may or may not need surgery. How does orthognathic surgery work? An oral and maxillofacial surgeon will perform your orthognathic surgery, and the surgery will take place in a hospital. Orthognathic surgery can take several hours depending on each individual case. Once the surgery is complete, you will have about a two-week rest period. Since orthognathic surgery is a major treatment, we recommend that you schedule some time away from work and school during the healing process. After your jaw has healed, your orthodontist will once again “fine-tune” your bite. After surgery, you will have to wear braces, and most braces are removed within six to 12 months following surgery. 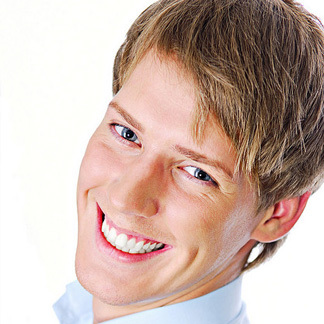 After your braces are removed, you will wear a retainer to help maintain your new smile. What are the risks associated with orthognathic surgery? As with any major medical surgery, there may be certain risks of having orthognathic surgery. However, the process of orthognathic surgery is not new, and it has been performed for many years in practices and hospitals. If you're concerned about an upcoming treatment with orthognathic surgery, please contact our practice and let us know. We are happy to answer any questions that you may have, and provide you with any additional information. Your comfort is important to us. What are the rewards of having orthognathic surgery? For many patients, the most important reward of having orthognathic surgery is achieving a beautiful, healthy smile that lasts a lifetime. Whether you need orthodontic treatment to correct a bad bite, malocclusion, or jaw abnormality, orthognathic surgery can help restore your confidence and leave you smiling with confidence for many years to come.